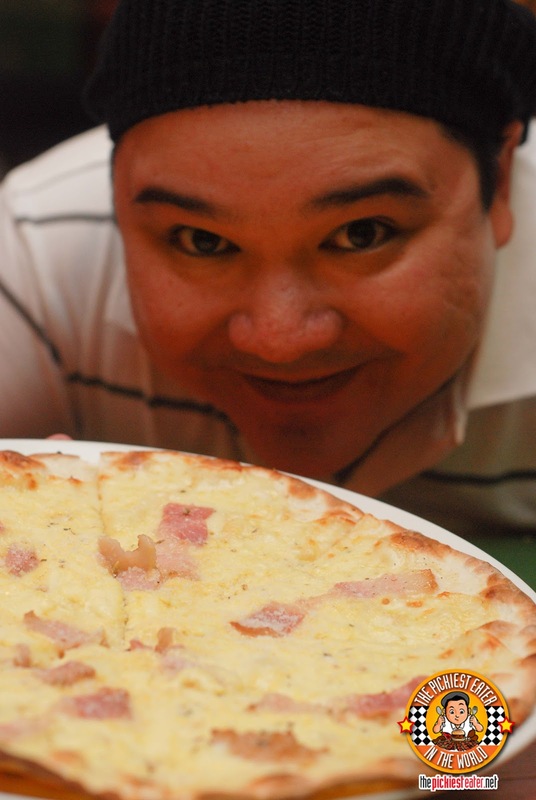 THE PICKIEST EATER IN THE WORLD: THE PICKIEST EATER'S SECOND YEAR ANNIVERSARY GIVEAWAY #2: MAMA LOU'S ITALIAN KITCHEN ! THE PICKIEST EATER'S SECOND YEAR ANNIVERSARY GIVEAWAY #2: MAMA LOU'S ITALIAN KITCHEN ! Ok folks, here it is! Our next giveaway for our 2nd Year anniversary is from none other than Mama Lou's Italian Kitchen! I just came from here last weekend, and it's a crying shame that Rina wasn't able to take a picture of our dishes after he had plowed through it, you would have seen that our plates were so clean, Joy Dish Washing Liquid was scared we would put them out of business!! 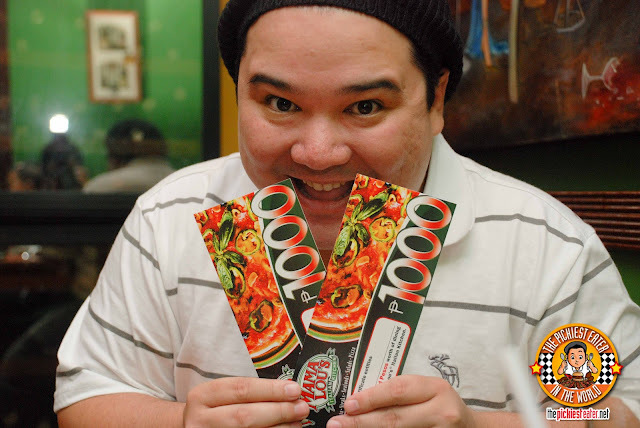 From the Bacon Poutine, to the Carbonara Pizza, and the Ravioli Epinard, Rina and I loved every single thing we ordered.. and now, with the generosity of Mama Lou's, we're giving one lucky reader a chance to dine there, by giving him or her P2,000 worth of Gift Certificates! 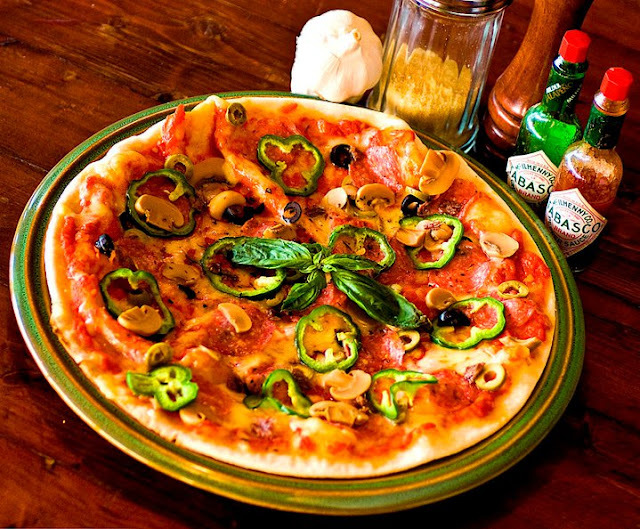 I was very happy with the number of cream based authentic Italian dishes they had in their menu, but I'm quite certain that their tomato based pizzas and pastas are undoubtedly surefire hits. 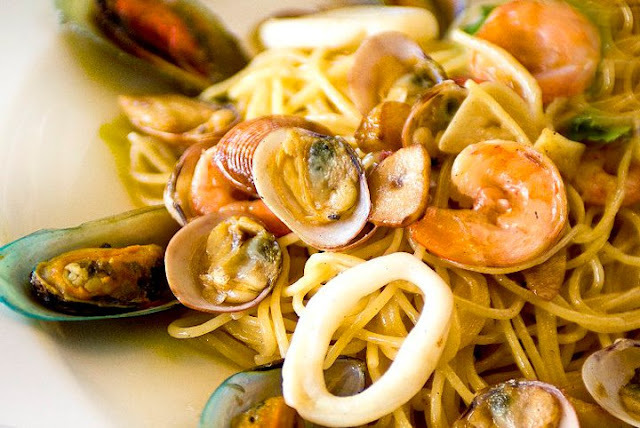 One of the Most popular items in their menu has to be their Spaghetti Seafood Olio, which features generous helpings of Mussels, Clams, Shrimps, and squid. 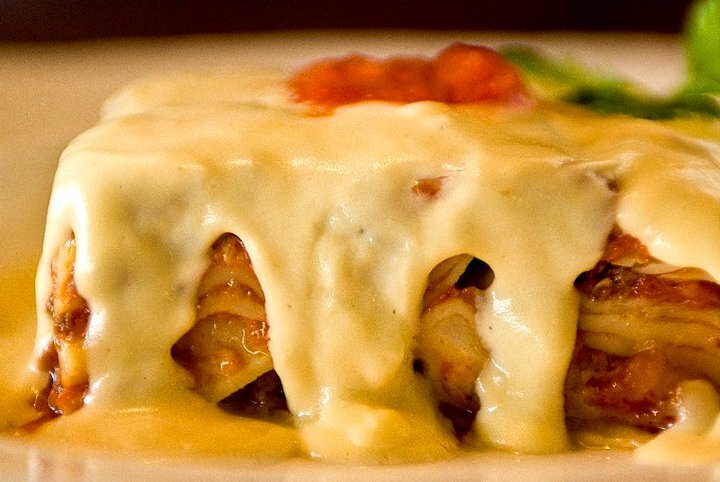 If you're looking for a good old fashioned lasagna, then you've come to the right place. Mama Lou's version combines minced meat with a rich Neopolitana sauce, and tops it off with two kinds of cheeses.. Mozzarella and Parmesan. - In the box, type "I Love Authentic Italian Food so I'm Joining @Mama Lou's Italian Kitchen & @The Pickiest Eater In The World GIVEAWAY #2!" Then tag two friends. In order to tag your friends as well as both Mama Lou's and the Pickiest Eater Facebook Page, please don't forget to type the "@" sign before their names so their profile names become clickable for a tag via the drop down selection.
" I love authentic Italian food so I'm Joining Mama Lou's Italian Kitchen & The Pickiest Eater In The World GIVEAWAY #2 Kevin Bacon Francis Bacon"
3) At the comment box of this blog post, Post your Name, URL Link of your shared post and Email address for verification purposes! 4) This contest is open to all readers in The Philippines.. Please take note that Mama Lou's is located at B1 L36 Tropical Ave. corner Tropical Palace BF International, 1721 Las Piñas, Philippines. 6) One entry per person only! 7) The contest starts today, June 13,2012 and ends on June 30, 2012. The winner will be notified through email and will be announced on July 2 here in my blog, The Pickiest Eater Facebook page and Twitter account. 8) Winners will be chosen through a Rafflecopter. The GC's were given to me by the good people from Mama Lou's Italian Kitchen, specifically for my Anniversary Giveaway. 3) Share this post on your facebook wall, and tag The Pickiest Eater In The World, Mama Lou's Italian Kitchen and two friends (make sure the post is set to "Public"). and all you did was click a few buttons and type a few words?! I'd like to give a special mention of thanks to Crystal and her family for their incredible generosity, and supporting my blog in this giveaway! We'll be back soon! oh, but where do i find the URL of my post? help pls! Can't wait to try their food... Hope I win!! !